It's now the default digital TV platform in the UK. But if it had been more successful in its first few years on air, our television landscape could have looked very different. Launched on the 15th November 1998, digital terrestrial television first became available courtesy of OnDigital, a service backed by ITV companies Granada and Carlton. TV celebrity Ulrika Jonsson (pictured above) was brought in to press the button that evening to officially launch the service and simultaneously light up the Crystal Palace transmitter in London. Back then, digital TV was seen as an excuse to push pay TV, with OnDigital going all out in its battle with Sky, despite the limitations of terrestrial TV bandwidth. At launch, there were already signs that things were not well, with early reports of supply issues and reception problems. The transmission mode and low power - required to avoid interfering with existing analogue services - meant that many households were not able to benefit from a stable service. An expensive gamble involving football league rights, a battle against black market viewing cards and a last ditch rebrand to ITV Digital followed. 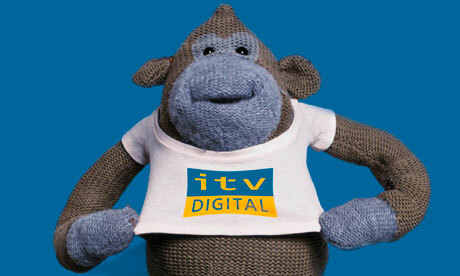 ITV Digital collapsed in the spring of 2002, leaving a 'bare-bones' digital terrestrial TV service on-air during the summer. By the end of October 2002, Freeview - created by the BBC and Crown Castle (now Arqiva) was launched, filing the vacated terrestrial frequencies. Freeview brought about a major revolution in TV: multi-channel television, but free-to-air. With many channels locked behind pay TV deals, broadcasters created special free-to-air services, such as UK Bright Ideas from UKTV and TMF from Viacom. In 1998, analysts predicted that by 2005, OnDigital would have 2.8 million subscribers. Freeview managed to reach over 5 million households at the beginning of 2005. It's striking to think that if OnDigital had been more succesful, Freeview would never have launched, potentially leaving households with a choice of pay TV providers to choose from if they wanted more than the basic channels. In fact by 2005, once they had seen the sharp uptake of receivers, broadcasters began to feverishly snap up spare Freeview capacity at a cost of over £10million a year, with ITV, Channel 4, and later, Channel 5 launching new channels on Freeview every few months. Between 2008 and 2012, digital switchover terminated analogue TV signals on a region-by-region basis, allowing the power of digital terrestrial television signals to be ramped up. 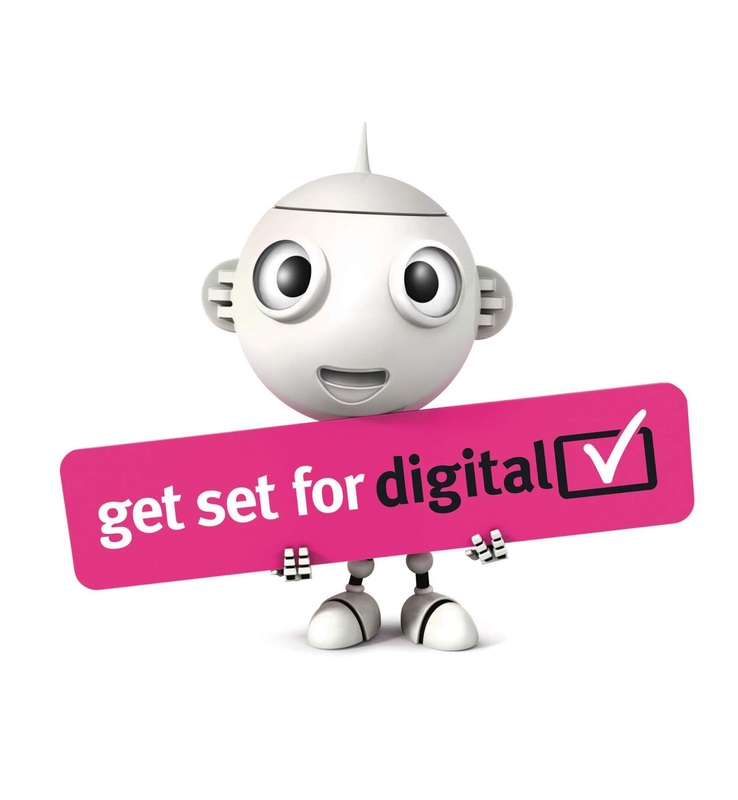 Mid-way through this process, Freeview was restructured to facilitate a multiplex of HD channels, with the introduction of the next generation DVB-T2 standard for digital terrestrial TV, officially launching at the end of March 2010. By the end of 2012, Ofcom reported that there were 19.2 million TV homes (75%) with digital terrestrial TV in the UK, with 10.3 million (40%) of homes using it as their only TV service. Following the completion of digital switchover, which brought coverage of the main public service channels to 98.5% of UK households, and coverage of commercial multiplexes to 90%, more broadcasters started to take an interest, with Scripps Networks, Sony, CBS AMC channel partnership, A+E Networks and Fox Networks adding services to Freeview. At the same time, additional temporary multiplexes were launched to boost capacity for HD channels, enabling the BBC to launch five new HD services in December 2013. A controversial scheme to use spare frequencies for local TV channels resulted in the first service going live at the end of 2013. Critics who suspected that low coverage and new internet-based technologies would surpress demand for local TV were soon proved right, with many stations having to radically change their output to survive. The first local channel to launch, Estuary TV was sold off earlier this year. During the past five years, internet technologies have formed an ever greater role in the future of digital terrestrial television, with current platform operator Digital UK seeing its future as a hybrid platform, providing viewers with access to traditional free-to-air broadcasters alongside catch-up, on-demand and niche services delivered via broadband internet. Launched in October 2015, Freeview Play is the way Digital UK and the country's biggest free-to-air broadcasters hope to achieve this hybrid future. Within the next 18 months, engineering work on the UK's digital terrestrial television network to facilitate frequency changes will be complete. Freeview will have to surrender frequencies for future 5G services. In order to facilitate a growing number of services and to cater for the standardisation of high definition television, hard choices will need to be made soon over switching more services to the newer DVB-T2 standard, reducing the number of channels older Freeview boxes can receive, but creating more bandwidth to accomodate displaced services, as well as on how to further promote IP-delivery for smaller, niche channels. Over the years, attempts have been made to cater for niche services via Freeview's streaming channels service (channel range 260-274), but many services have struggled. Some smaller channels have managed to secure capacity on temporary multiplexes, originally designed to carry HD channels, but may choose to switch to IP-delivered services if there's a sufficient receiver base. Ultra HD TV services look set to be absent from Freeview for the time being thanks to the ever decreasing number of available frequencies, with the BBC prefering to ensure Freeview Play devices support its UHD iPlayer service instead. As for viewing figures, while traditional TV watching is still strong among older audiences, recent reports indicate a steep increase in online viewing among younger viewers, thanks to the likes of Netflix and YouTube, threatening the status of the main Freeview broadcasters, in fact so much so that broadcasters want internet streaming devices to give their services the same levels of prominence platforms like Freeview have to provide. The speed of change is likely to get faster still as older viewers die off. Terrestrial TV in its current form is guaranteed until 2030, following international agreements on the use of spectrum. Beyond 2030, it's possible TV via 5G may replace current terrestrial services. Earlier this autumn, trials of such technology started in Bavaria, and look set to provide a concrete example of how terrestrial broadcasting may look in the future, combining the best of linear TV distribution with the advantages of a mobile network to carry ever popular catch-up and on-demand material across a meshwork of transmitters. It seems that as we look back at twenty years of digital terrestrial TV, and see how the internet is rapidly changing viewing habits, we are probably now closer to the end of the technology than we might think.